(1988) "Look Out Any Window"
"The Valley Road" is a song recorded by Bruce Hornsby and the Range. Hornsby co-wrote the song with his brother John Hornsby and co-produced it with Neil Dorfsman. 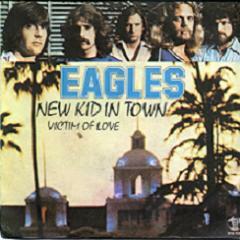 The song is included on Bruce Hornsby and the Range's 1988 album, Scenes from the Southside . 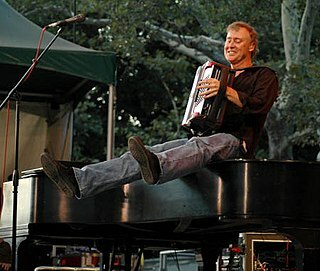 Bruce Randall Hornsby is an American singer-songwriter, Actor and pianist. He draws frequently from classical, jazz, bluegrass, folk, Motown, gospel, rock, blues, and jam band musical traditions. Jonathan Bigelow "John" Hornsby is an American composer, musician and actor. He is the brother of musician and composer Bruce Hornsby, and the two have collaborated often. 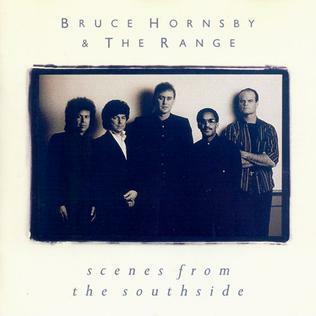 Scenes from the Southside is the second album by Bruce Hornsby and the Range. The single "The Valley Road" was Hornsby's third Top 10 U.S. hit, peaking at number five on the Billboard Hot 100, and also his first number one on the Billboard Album Rock Tracks chart. It became his third chart-topper on the Billboard adult contemporary chart, following "The Way It Is" and "Mandolin Rain". Two other notable tracks on the record were "The Show Goes On", which was featured in Ron Howard's 1991 film Backdraft, and "Jacob's Ladder", which was written by Bruce and John Hornsby, but is most well known as being a number-one hit for Huey Lewis and the News in March 1987. 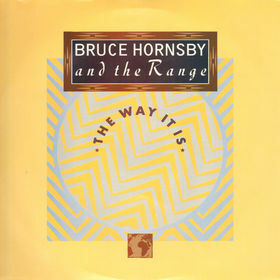 "The Way It Is" is a song by American rock group Bruce Hornsby and the Range. It was released in September 1986 as the second single from their debut album The Way It Is. It topped the charts in the United States, Canada and the Netherlands in 1986, and peaked inside the top twenty in such countries as Ireland, Switzerland and the United Kingdom. Written by Bruce Hornsby, it made explicit reference to the Civil Rights Movement. Musically, the song is characterized by two long piano solos. The Nitty Gritty Dirt Band, an American country rock band, has existed in various forms since its founding in Long Beach, California, in 1966. The group's membership has had at least a dozen changes over the years, including a period from 1976 to 1981 when the band performed and recorded as the Dirt Band. Constant members since the early times are singer-guitarist Jeff Hanna and drummer Jimmie Fadden. Multi-instrumentalist John McEuen was with the band from 1966 to 1986 and returned during 2001, staying 16 years, then departing again in November 2017. Keyboardist Bob Carpenter joined the band in 1977. The band is often cited as instrumental to the progression of contemporary country and roots music. Will the Circle Be Unbroken: Volume Two is a 1989 album by the Nitty Gritty Dirt Band. The album follows the same concept as the band's 1972 album, Will the Circle Be Unbroken, which featured guest performances from many notable country music stars. 8, and features an unusual guitar tuning in which most of the strings are tuned to D, lending the guitar a chorus-like effect. 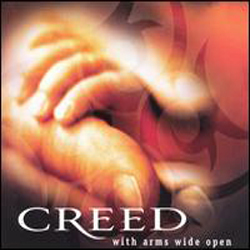 "With Arms Wide Open" is a song by American rock band Creed. It was released on April 24, 2000 as the third single from their second studio album, Human Clay. The song topped the Billboard Hot Mainstream Rock Tracks chart for four weeks in July 2000; a month later it reached the U.S. top 40. In October, the song hit the top ten and topped the Billboard's Adult Top 40 chart for eight weeks. It hit number one on the Billboard Hot 100 on the issue dated November 11, 2000 for one week, becoming their first and only number one. The music video topped VH1's top ten countdown in 2000. "Save the Best for Last" is a 1992 song performed by Vanessa Williams and written by Phil Galdston, Wendy Waldman, and Jon Lind in March 1989. It is considered Williams's signature song and was released as the third single from her second studio album The Comfort Zone. "If It Makes You Happy" is the lead single from Sheryl Crow's 1996 eponymous album. The song peaked at number 10 on the US Billboard Hot 100 and won Best Female Rock Vocal Performance at the 1997 Grammy Awards. The song ties with her hit, "My Favorite Mistake", as her third highest-charting single in the United Kingdom, reaching number nine on the UK Singles Chart. It also peaked at number one in Canada and was her second number-one hit on the Canadian Adult Contemporary chart. "How Am I Supposed to Live Without You" is a song written in 1982 by Doug James and Michael Bolton. The ballad has been recorded by many artists around the world, in several languages, becoming something of a modern pop standard. Instrumental versions of the song have been recorded featuring variously the piano, guitar, saxophone, pan flute, steel drum, and music box. "Hold On" is a song recorded by American vocal group Wilson Phillips. It was released on February 27, 1990 as the lead single from their debut studio album, Wilson Phillips (1990). "Hold on My Heart" is a 1992 single by English rock band Genesis from their fourteenth studio album We Can't Dance (1991). It was released as the album's third single on 6 April 1992. The song was successful in North America, reaching number one on the Canadian RPM Top Singles chart, the RPM Adult Contemporary chart, and the US Billboard Adult Contemporary chart, as well as number 12 on the Billboard Hot 100. It was the last top-twenty single for Genesis on the Hot 100 and their final number-one hit in Canada. The song also peaked at number 16 on the UK Singles Chart and the Belgian Singles Chart. "Only One Road" is a song by Canadian singer Celine Dion, taken from her third English-language studio album, The Colour of My Love (1993). It was written by Peter Zizzo and produced by Ric Wake. "Only One Road" was released as the fourth single from the album in October 1994 in North America, in May 1995 in the United Kingdom and Australia, and in July 1995 in selected European countries. The black and white music video for the song, directed by Greg Masuak, was released in 1995. "Only One Road" topped the Canadian Adult Contemporary Chart and reached top ten in the United Kingdom and Ireland, peaking at number eight in both countries. It was later included on Dion's greatest hits albums, The Collector's Series, Volume One (2000) and My Love: Ultimate Essential Collection (2008). "You're in Love" is a 1991 song by the pop rock band Wilson Phillips. It was the fourth single released from the group's debut album Wilson Phillips and reached number one on the US Billboard Hot 100, becoming the group's third and final number-one single in the United States. 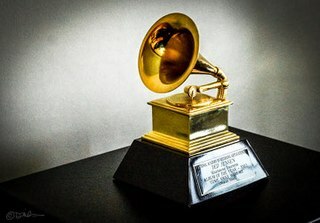 With this single, the group received a nomination on the Grammy Awards of 1992 in the Best Pop Vocal Performance by a Duo or Group category, losing to R.E.M. 's "Losing My Religion". This is a discography of works by Bruce Hornsby. Hornsby released albums with his backing group The Range in his early years, and from 2002 onward with The Noisemakers. He has also released solo albums, as well as collaborations with other artists. 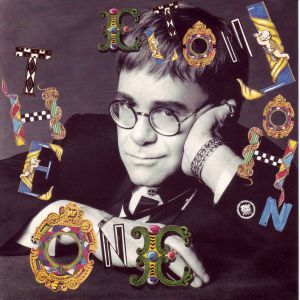 "The One" is the first single from Elton John's 1992 album of the same name. It reached number nine on the US Billboard Hot 100, number one on the Billboard Adult Contemporary chart and number 10 on the UK Singles Chart. In Canada, it reached number one on the RPM 100 chart for two weeks and the RPM Adult Contemporary chart for five weeks. In Europe, "The One" peaked within the top ten in Belgium, France, Ireland, Italy, Norway, Poland and Switzerland, while in Australia, it reached number 15. 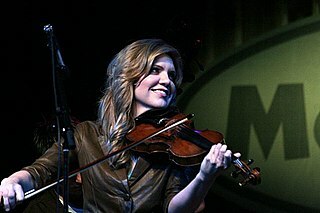 The discography of American country and bluegrass singer Alison Krauss consists of thirteen studio albums—five solo, six with her group Union Station, and two collaboration albums. She has also released four compilation albums, one live album, and over 30 singles. Her most successful album, Live, has been certified 2× Platinum. "Believe" is a 1994 song recorded by Elton John. It was the first single from his album Made in England and was released on 20 February 1995. 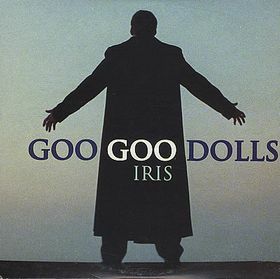 Several versions of the single were released, featuring B-sides such as "Circle of Life" from the The Lion King and live versions of tracks including "The One", "The Last Song", "Sorry Seems to Be the Hardest Word" and "Believe", which were recorded at the Greek Theatre in Los Angeles. "Rose Garden" is a song written by Joe South, best known as recorded by country music singer Lynn Anderson, and first released by Billy Joe Royal in 1967. Anderson's October 1970 release topped the U.S. Billboard country chart for five weeks, reached No. 3 on the U.S. Billboard Hot 100 pop chart, and hit No. 1 on both Cash Box's and Record World's pop and country singles charts. The song was also a major pop hit internationally, topping the charts in Australia, Canada, New Zealand, Ireland, Norway, South Africa, and throughout Europe. 1 2 Whitburn, Joel (2004). The Billboard Book of Top 40 Hits, 8th Edition (Billboard Publications), page 292. 1 2 3 Hyatt, Wesley (1999). The Billboard Book of #1 Adult Contemporary Hits (Billboard Publications), page 335. ↑ UK Singles Chart info Chartstats.com. 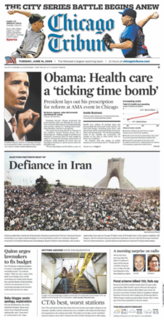 Retrieved 26 July 2009. ↑ "Bruce Hornsby Revisits Bluegrass on CMT Crossroads" CMT.com, 23 February 2007. Retrieved 26 July 2009. 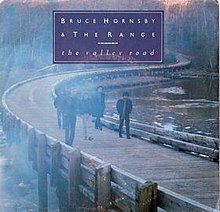 ↑ "Ultratop.be – Bruce Hornsby and the Range – The Valley Road" (in Dutch). Ultratop 50. ↑ "Top RPM Singles: Issue 8720." RPM . Library and Archives Canada. Retrieved February 18, 2019. ↑ "Top RPM Adult Contemporary: Issue 8738." RPM . Library and Archives Canada. Retrieved February 18, 2019. ↑ "Nederlandse Top 40 – Bruce Hornsby and the Range" (in Dutch). Dutch Top 40. ↑ "SA Charts 1965 - 1989 (As presented on Springbok Radio/Radio Orion): Acts H". South Africa's Rock Lists Website. South Africa's Rock Lists. October 2000. Retrieved 28 October 2013. ↑ "Bruce Hornsby and the Range: Artist Chart History". Official Charts Company. Retrieved February 18, 2019. ↑ "Bruce Hornsby Chart History (Hot 100)". Billboard. Retrieved February 18, 2019.